The English Foxhound was created in the late 16th century, as a result of the perception of the depletion of deer in England. Nobles and Royalty had hunted deer for both food and sport, using the Deerhound or Staghound for this purpose. During the reign of Henry VIII, it was perceived that a new prey was needed, and the fox was selected. 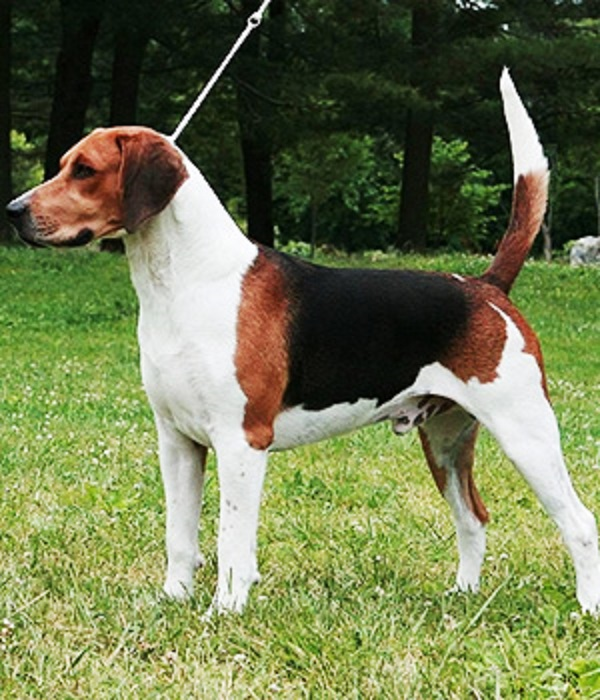 The English Foxhound was then created by a careful mixing of the Greyhound, for speed, the Fox Terrier, for hunting instinct, and the Bulldog, for tenacity in the hunt. During the British Raj, English Foxhounds were imported to India for the purpose of jackal coursing, though due to the comparatively hotter weather, they were rarely long lived. Foxhounds were preferred for this purpose over greyhounds, as the former was not as fast, and could thus provide a longer, more sporting chase. Studbooks for the English foxhound have been kept since the 18th century. Breeding lines and the work of people involved in breeding hounds is extremely important in the continual development of this working breed. Puppy shows are important events in the hunting calendar and allow the local hunt followers and visiting hound breeders examine the latest generation from the hound pack. The hounds were meant to trail foxes and live around horses. They are still used for those purposes.